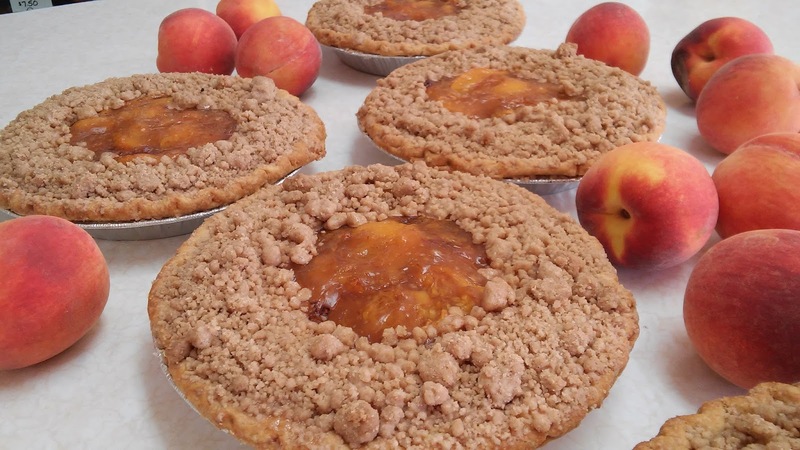 Grab the deep dish bowl and scoop out that vanilla ice-cream...Fresh cooked peach-crumb pies are here. The blend of cinnamon and sugar in the crumbs with the taste of summer-ripened cooked peaches is heavenly. Add that scoop of vanilla ice-cream and you have the old-fashioned taste of homemade peach cobbler. Make sure the bowl is deep and BIG...you're going to want a generous portion, maybe even seconds! Fresh Peach cake is still made everyday and fresh peach shortcake is in the store too. So as summer approaches Fall...you can still think PEACHES.